Delivers a tough, heat resistant barrier that protects against everyday knocks, scuffs and scratches, leaving a brilliant white finish. 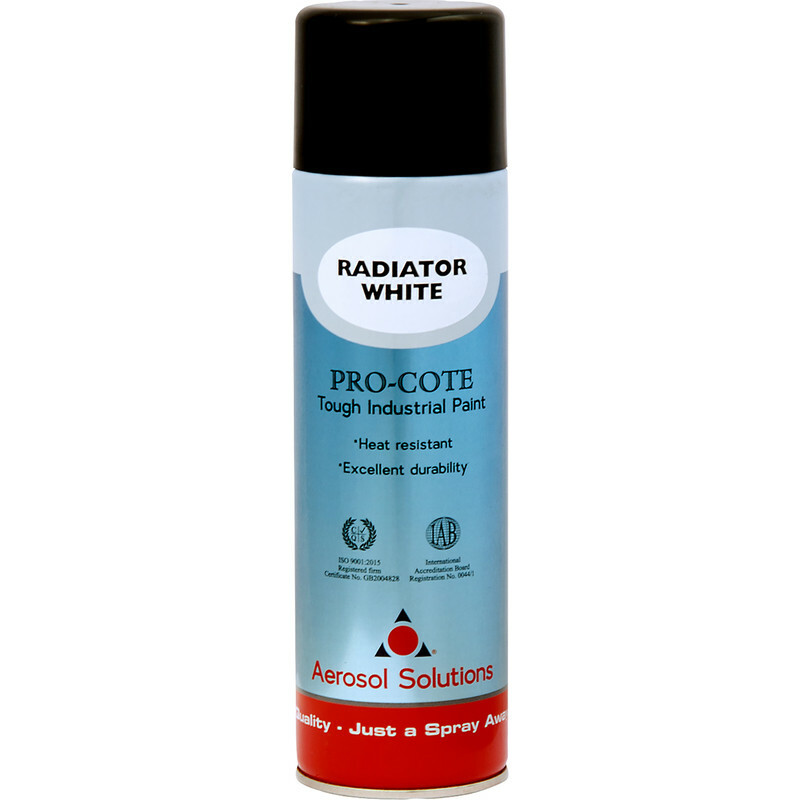 Radiator Spray Paint 500ml Gloss White is rated 4.6 out of 5 by 34. Rated 5 out of 5 by Boro1964 from Great finish Love this paint for my rads, sprayed the first one whilst it was still on, big mistake, the paint dust goes everywhere!! Best advise is to take them off and spray outside when it's not a windy day, works perfect and really white finish. Rated 5 out of 5 by Pierethroughthewindow from Great did the job Order arrived on time job required for now done and dusted and looks good. Rated 5 out of 5 by Tone123 from Covers well Did a great job, smooth finish without using undercoat. Rated 4 out of 5 by Kevin18 from Does the job Covers well and drys quick. Just need to be careful as it runs easily.